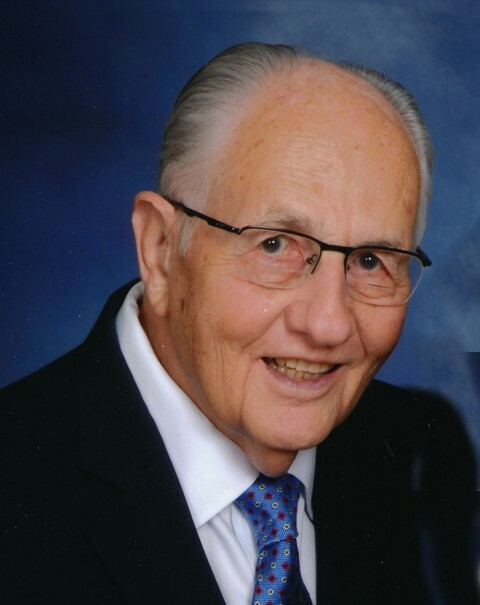 Keith R. Thompson, DDS, age 92, passed away on Tuesday, January 15, 2019 in Belton, Texas. He was born October 10, 1926 in Mandan, North Dakota to Eleanor C. and Coleman G. Thompson. Upon discharge from the Army Air Corps in 1946, Keith pursued his Doctor of Dental Surgery from the University of Minnesota and began his private practice in Elgin, North Dakota. In 1958, Keith married Mary P. Flannigan in St. Paul, Minnesota and they began their life of 60 years together. In 1967 they moved to Big Spring, Texas where he practiced dentistry at the VA Medical Center. In 1976, they moved to Temple, Texas and he practiced at the VA Medical Center until he retired in 1995. Photography was Keith's passion and he loved taking pictures, not only of his own children and grandchildren, but also local sports, school and church events. Before the advent of digital photography, Keith enjoyed the process and precision of developing his photos in his own darkroom. Keith was a member of the Knights of Columbus for 75 years. In 2006, he and Mary received the Lumen Gentium award from the Diocese of Austin in recognition of their volunteer work. Keith is preceded in death by his son Coleman Thompson (Mary Jacque). He is survived by his wife Mary, son Steven Thompson (Kathleen) of Green Cove Springs, Florida and daughter Elizabeth Cook (Chuck) of Austin, Texas; grandchildren include Jonathan Thompson (Karen), Richard Thompson, Catherine Cook, Charles Cook, Lauren Abel (Casey), Scott Hollis and great granddaughter Hudson Rose Abel. A Recitation of the Holy Rosary will be held at 7PM on Friday, January 18, 2019 at St. Luke Catholic Church in Temple, Texas. Mass of Christian Burial will be held at 2:00 PM on Saturday, January 19, 2019 at St. Luke Catholic Church, Temple, Texas followed by burial in columbarium and military honors.